← Forbes: Is Entrepreneurship In Your Genes? Lawmakers make 11th hour compromise to reopen government, averting short term crisis, but ensuring likelihood of a bigger crisis in months and years to come. 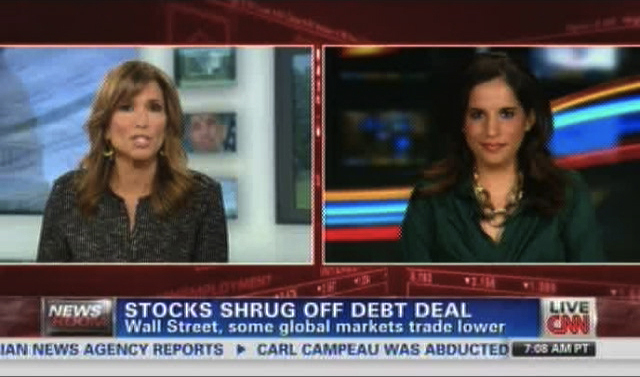 Monica chats with CNN’s Carol Costello about our politicians prioritizing partisan bickering over economic prudence. Read more about Monica’s take on warnings from the CBO on spending and debt and politicians consistently showing they lack the will to make hard choices.